Are you tempted to find the guy with the “cheapest rates in town.” Many times, they can offer this because they operate without a license, don’t pull the required permits and don’t carry insurance! Trust us – if there’s a safety issue at your home while they are performing plumbing or HVAC service, you could end up in serious trouble! 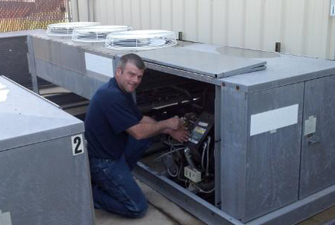 When you hire Electro Kold, you’ll get the peace of mind that comes from knowing that you’re getting top quality installation and HVAC service from the company that cares about your needs and gets the job done right the first time. You can save money by installing a new or newer system to replace outdated equipment that no longer runs efficiently.